a glance in the future and evolution of car design. The functional design and development of a modern motor vehicle, development of the appearance, and the ergonomics, of motor vehicles or road vehicles. 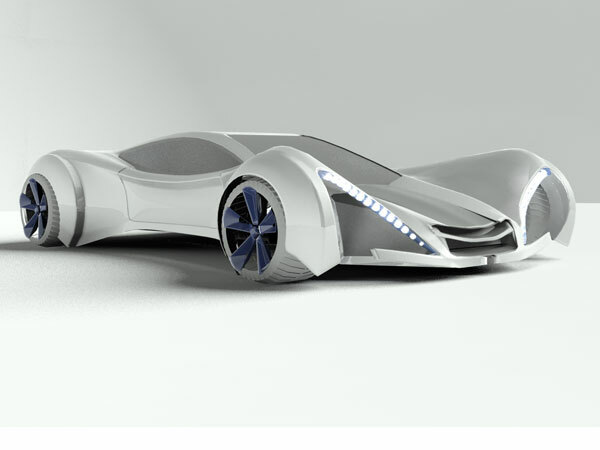 Automotive design is practiced by designers with an art background and a degree in industrial design or transportation design. 3ds car, white, vehicle, transport, auto, automobile, background, clean, drive, modern, motor, new, side, tires, metal, travel, wheel, digital, elegance, illustration, ecological, economy, electric, environmental, fuel, future, gas, global, hybrid, isolated, power, rim, shiny, style, system, technology, transportation, door, engine, headlight, light, expensive, fast, speed, turbo,.